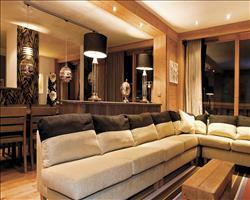 At La Plagne 2100, enjoy family skiing in the heart of the Paradiski domain. With its bold architecture, the Club Med La Plagne 2100 Resort, at overlooks the ski resort from the foot of the slopes. Following a luxury renovation overseen by Rémy Camoin, this Club Med Resort is a model of contemporary design. Shimmering curtains, soft furnishings, free-flowing spaces and specially designed acoustics and lighting combine to create a stimulating ambience in perfect harmony with the mountains. The refurbished rooms and bathrooms, enlarged restaurants, and reorganised lounge and bar areas create a fun, family-oriented atmosphere. Elevation: 2 100 metres (6 188 ft). Childcare and children's club facilities Our Resort welcomes children of all ages, with children's club activities according to age, run by professionals. Leisure activities : Lounge and festive evenings, Terrace. If you have chosen a transport package, it includes the return train journey and transfers to and from the La Plagne 2100 Club Med Resort. At Club Med La Plagne you can choose between 326 rooms in a 12-storey hotel, with a façade in a harmonious blend of wood and metal. A comfortable and elegant Club Room at La Plagne, available with connecting rooms. Additional options include a "Piste" or "Mont Blanc" View. 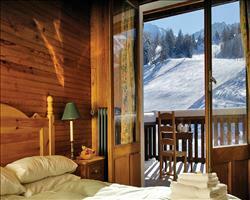 La Plagne has spacious Deluxe Rooms offering a generous level of comfort in an elegant atmosphere. Located on the 7th, 8th & 9th floors. A spacious and elegant Suite facing the valley, with a furnished terrace, where you can savour a luxury standard of comfort. 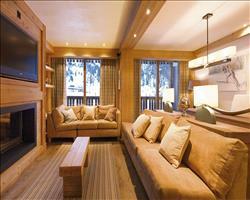 We update Club Med La Plagne 2100's details often, but facilities do change. e.g. some extras listed by the supplier as "free" or included might only be for the first time you use them, or for one time per party, then charged for further use. If any specific feature is essential to your holiday, make sure you ask us to confirm the details of it before you book your holiday. This all inclusive holiday to Club Med La Plagne 2100 in La Plagne, France departs Sunday 29th December 2019, for a 7 night stay on a "all inclusive" board basis. A local tourist tax (Taxe de Sejour or Kurtaxe) is levied by many councils in European ski resorts. It varies by standard and type of accommodation and is age dependent, so not everyone is charged. It's not included in the basic price of your holiday and is usually paid locally. For reference, the average charged in winter 15/16 was between 50p and £2 per person, per night. A fabulous all-rounder: ski the Paradiski’s wonderful mix of tree-lined trails, knee-deep off piste and wide open cruisers, before returning to whichever purpose built village or age-old hamlet you’re staying in. La Plagne’s easily one of Europe’s best ski resorts and one we visit again and again.
. 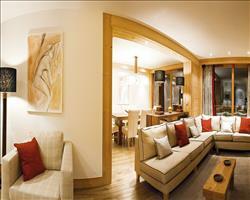 Ask for a quote when booking Club Med La Plagne 2100. La Plagne has N S E W facing slopes. 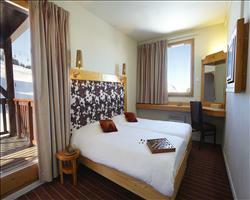 Chalet Hotel Chri... La Plagne France, Manchester to Grenoble 29th December. Club Med Aime la ... La Plagne France, Without Flights to Without Flights 29th December. 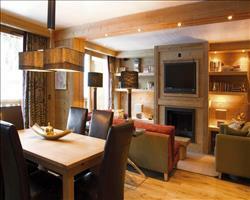 Chalet Hotel des ... La Plagne France, Gatwick to Chambéry 29th December. Summit View, Lema... La Plagne France, Gatwick to Geneva 29th December. Summit View, Luce... La Plagne France, Gatwick to Geneva 29th December. Summit View, Gard... La Plagne France, Gatwick to Geneva 29th December. Summit View, Como... La Plagne France, Gatwick to Geneva 29th December. We've always been fairly independent travellers but I'm glad we took advice from SNO customers about our first Family ski holiday with the boys. "Ski-Inclusive" and also "Food/Drink-Inclusive" makes it a genuine holiday for parents (i.e. not just the kids). You have all the faff of kids skiing sorted out by experts (all the gear on and off every time they need the loo, beginner ski school, endless snacks and water, patient coaching), and all the expense of feeding and watering a family in a ski resort is already covered. Basically, I think we'll ski this way until they're teenagers. The interconnecting rooms were great for giving the boys (and us) their own space but still feeling like we're in the same hotel room. That said, I don't think interconnecting is essential, if you can get rooms next to each other (maybe dig out your old baby monitor, so you can hear what they're up to!). The inclusive board-basis that you get in Club Med hotels is incredibly varied, so fussy eaters will always find things they like (they had great chefs making interesting things every day, but also staples like pizza and burgers etc.). The ESF sometimes have an unfriendly reputation but I think Club Med is a big client so they get to pick the best - all the instructors in the private Club Med nursery slope were female (no coincidence?) and my adult coach was a fantastically French old boy in his late 60's with character and attitude to spare, who was entertaining to ski with and improved my technique enormously (my last lesson was 30 years ago). It's great to dip in and out of ski school whenever you like (because its all included) so you can ski with the kids once they've got out of the nursery area (just a day for Jimmy 7, and two days for Charles 5). They said their aim is for the kids to be able to ski out of the nursery area by the end of the week, and I think everyone did (of course the very youngest or less sporty take a bit longer, but they love the nursery area where its safe and just as much fun). If you know that you will all buy lift pass and lessons, Club Med ski holidays are cheaper or about the same as any other, but of course you get the inclusive food and drink all day (I do love a free bar). Finally it's worth mentioning the consistency that everyone talks about - some operators can vary quite a lot from one chalet or hotel to another, but CM is a well oiled machine, so you never really get a duff one... and they hire nice people. When all the stats are counted, its usually the people who make or break a great holiday. Like the rest of the SNO community, I'm a convert. Recommended. We really enjoyed our holiday at the Club Med in La Plagne 2100, it was really nice not it have to worry about anything. They looked after our children very well, which was crucial as it was their first skiing experience. The location was brilliant, nice and high and right next to the slopes. Nice food and a good variety for adults and children alike.